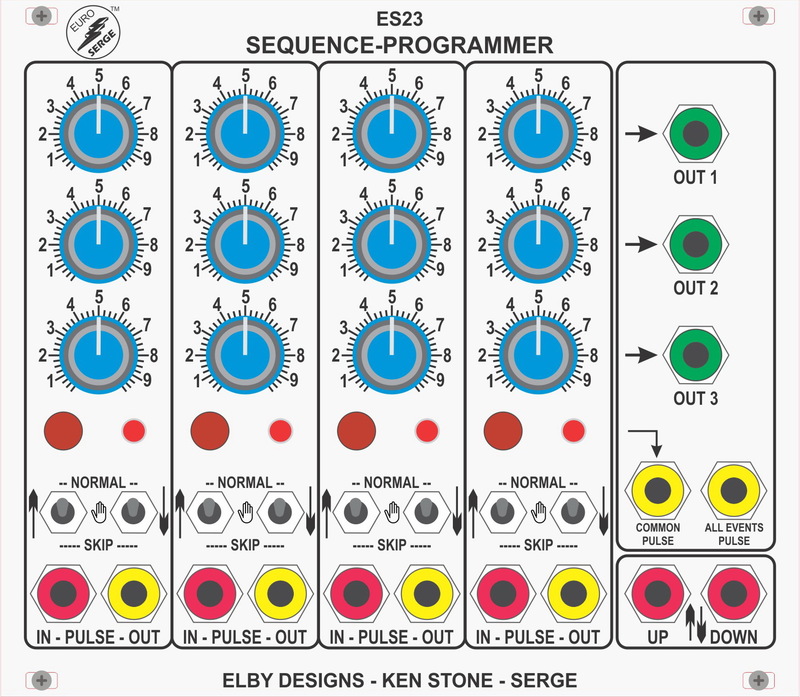 The ES23 the MASTER Sequence Programmer and must be included in all sequencer systems. In addition to the main 'sequence' controls it also includes 4 programming stages. 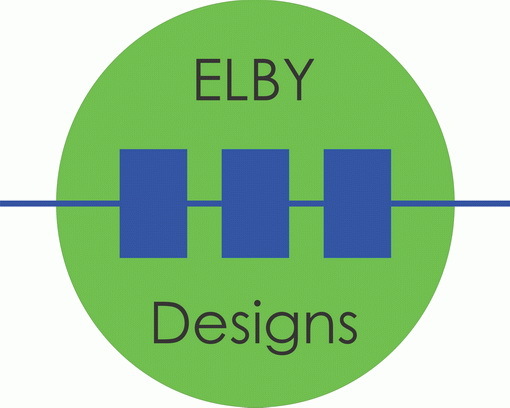 The number of programming stages can be increased in blocks of 4 by adding one or more ES24s. Features include the ability to be used as push-button, manual programmers and/or as multi-versatile sequencers. The length of sequences can be programmed interactively via the pushbuttons: thus sequence lengths can be changed in performance while a sequence is running. Other sequencing capabilities include RESET, UP/DOWN, HOLD pulse inputs, and a switch to START or STOP the sequencer. The [PULSE] inputs allow triggers from other modules to turn specific stages on. These inputs require a logis signal greater than 3.5V. The [Common Pulse] output goes high and remains high while a push button is pushed. The [All Events Pulse] gives a trigger pulse on any change of stage. Each stage includes a skip/stop feature. In the [NORMAL] position the stage activates in its sequential position. In the [STOP] position the stage refuses to activate causing the sequence to stop at the stage before, where it will remain until either the sequence is reversed or some other manual override forces the sequence away from the stage. In the [SKIP] position the stage acts as if it was not there, the following enabled stage activating on the next clock pulse. These modes of operation are independently settable in the both the [UP] and [DOWN] directions. The real power of these shorter length Sequencer Programmers, however, is their use in tandem with one another. Two sequencers are more interesting than one. They can be phased one against the other with the same or separate clocks. They can be patched to interact with each other, providing an incredibly varied palette of rhythmic patterns. A master unit can control one or more slave sequencers, resulting in highly controllable flurries of tonal sequences being modulated both harmonically and rhythmically.